Once you make the decision to divorce, it is important to hire one of the New Orleans divorce attorneys to guide you through all the facets of divorce. 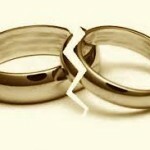 For prospective divorcees, Louisiana divorce law can be complex and challenging. It is more than just two individuals going their own way. It is a lifetime of inter-mingled finances, living space, debt, child support, and family relationships that complicate the process. Much thought should be given to selecting a family law attorney to represent your interests. First and foremost, select an experienced divorce attorney with a successful track record. You should feel comfortable and at ease in his presence, and trust his advice. Louisiana divorce law is based on the Napoleonic Code or old Roman law; whereas other states base their laws on English Common Law. In Louisiana, the division of community property can become quite complicated. Community property simple means that all property obtained during a marriage belongs to both spouses. Even if property is in your name, the court considers it held jointly.